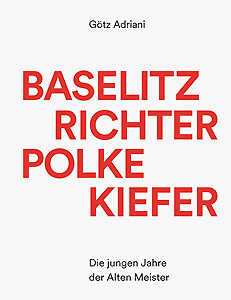 Four artists from Germany, known globally, who have each attained a level of fame that is unique in the history of German art. Their renown was cemented by their early work of the 1960s – that decade of reaction and rebellion, of confrontation and upheaval, of utopias and a new social compass. In conversations with Götz Adriani, the artists talk frankly about their work during this time when German society, East and West, may have got over the Nazi regime and the worst of the devastation of the war, but not the cultural and intellectual roots of Germany’s fascist past. 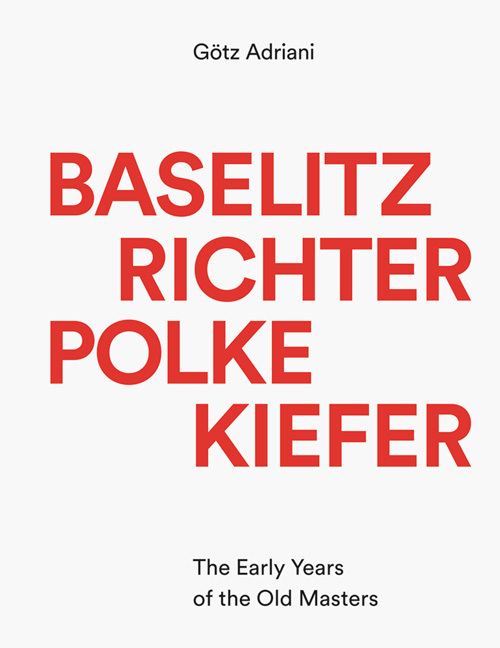 The book offers a fresh and comprehensive look at the early works of Baselitz, Richter, Polke, and Kiefer, at how each one variously tackled the aesthetic dominance of abstract art and the unique social and political environment of their newly founded country, the Federal Republic of Germany.